* 1) the "online registration" for A-HYKE, our annual meeting in Vienna, 24-28.2.2003, is open at www.wpi.ac.at/hyke There you also find additional information and the outline of the programme - the details and speakers on the different topics of the work programme will be fixed in the next weeks in coordination with the TOs of the groups in charge of the 16 topics. These presentation on the 16 topics will consist of several short contributions on different aspects of the respective topic, whenever possible also YRs financed by HYKE should talk. There will be only a few "invited talks", for the rest the conference will have more the character of an Oberwolfach meeting. There will be no parallel sessions, so please understand that not every participant will give a formal 50 min talk, but rather a short contribution in one of the above presentations. Please contact the TO responsible for a task if you want to contribute to the session on a topic you work on (have a look at "presentation" -> "work plan"). The meeting is a unique occasion to personally connect the HYKE community and to boost the scientific collaboration across the different sub-communities within HYKE. Also, we shall discuss/assess how the network functions and discuss options for future activities in the 6th FP of the EU (where HYKE is a big step ahead of all competitors) such as "T-HYKE" : a network of Marie Curie Training Sites) "HYKE-2" : a continuation of HYKE with increased budget) "AMANEX" : an Applied Mathematics Network of EXcellence, which integrates/backs several networks) The more HYKErs come, the better ! The presence of all TOs and members of committees and boards, at least from sunday to tuesday, is vital ! * 2) use of HYKE networking money please note that the EU funding of HYKE yields relatively little "networking money" ("travel money") per participant. (20 % of 3 Mill. Euro for 3 years for > 200 HYKErs => in the average < 1000 Euro per year per head) So we have to focus this travel money with high priority to the events that are vital for HYKE, as committed in the proposal and part B of the annex I of the contract : .) annual meetings .) summer/winter schools, labs for young HYKERS Especially in the first year we really should be quite strict in that policy - hopefully e.g. a proposal for a series of Euroconferences in the first call of the 6th FP will fuel new "travel money" for HYKE events like the 2nd annual meeting etc. Therefore HYKE travel money should only be spent for attending those events that are marked as "Network Co-financed meetings" on the "events" page of the HYKE webpage. This "HYKE label" is decided by the steering(training) committee, in open discussion with organizers who would like to obtain HYKE cofunding. Up to now that worked very well and consensual. E.g. 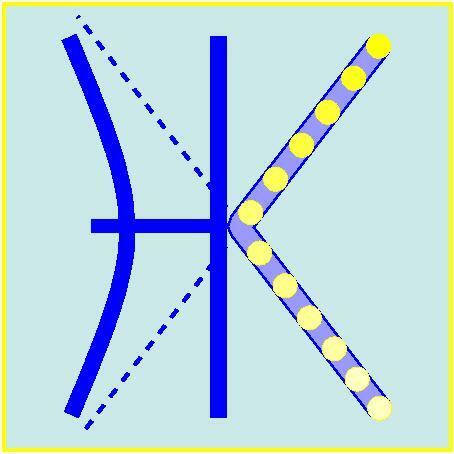 we agreed that the "Hyperbolic special semester" in Cambridge, where 2 of the 3 organizers are HYKErs, will be cofunded in the sense that each HYKE team can finance one participant. Concerning the AMAM2003 in Nice : due to budget considerations we cannot directly cofund this event where PDEs play only a minor role. However, on request of the AMAM organizers we have organized a "satellite conference" that will be partly cofunded by HYKE - non French participants of that meeting can attend AMAM2003 the week after, thus billing the travel to HYKE which gives an indirect cofunding for AMAM (it was bad luck that both Euroconference proposals failed - the one of AMAM2003 and the one for EC-HYKE - in the last call of the 5th FP the success rate of proposals dropped to 1 out of 7 and series of events (liek EC-HYKE) were not funded, because otherwise the acceptance rate would have dropped to 1 : 20) I regret that we can't fund everything that would be certainly worth a HYKE cofunding and I hope that soon we will be able to be less restrictive concerning HYKE networking money. * 3)"events" on the hyke webpage please "register" yourself on the webpage those "events" that you co-organize or learn about that are interesting for the HYKE community. Note that there are 3 types of events : A = HYKE co-funded event (restricted number because of 2)) B = event that is scientifically close to the HYKE programme C = event that is of interest to the HYKE community Most events you register will probably be of B category; in case an organizer wishes HYKE co-funding, sHe should register the event as B and send an e-mail to CO, SiC, HTC (Mauser, Perthame, Brenier) requesting HYKE co-funding. By default, when you enter the "events" page you see A+B for HYKE, with A events marked by the HYKE label (in green). * 4) "partner networks" there are some other Research Training networks that are scientifically more or less close and where personal relations with HYKErs exist. We shall collaborate with these partner networks in an informal way, e.g. by joint conference and training events or by synergy in the work for things like the web-page and preprint server etc. Currently the coordinators of the following networks have agreed to such collaboration and participation in A-HYKE meeting in Vienna. BREAKING COMPLEXITY (Silvia Bertoluzza (wavelets, numerics)) EVOLUTION EQUATIONS (Marc Quincampoix) FRONT PROPAGATION (Michiel Bertsch (parabolic)) HARP (Harmonic Analysis) (Aline Bonami) HMS2000 (Homogenization & Multiple Scales) (Alain Damlamian) The advantage of systematic contacts between these and other networks are obvious, both scientifically and practically as well as for future activities (not only) in the 6th and 7th framework programme. Все подробности buy votes contest у нас.